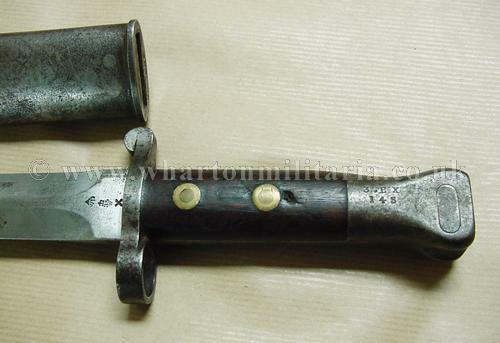 WW2 Japanese Officer's Katana in field service mounts with leather covered scabbard. 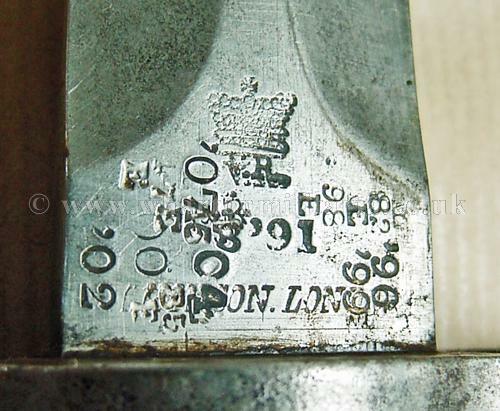 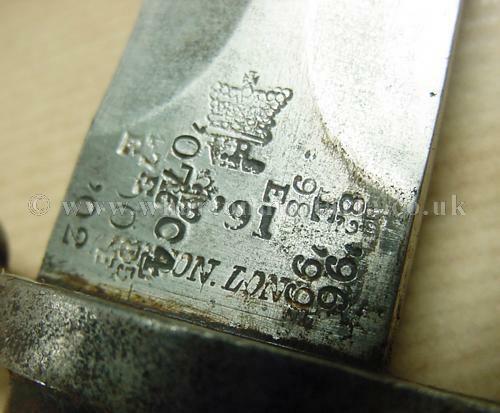 The blade is in excellent condition with the absolute minimum of marks to the blade surface, there is a signature to tang, which as yet is unresearched. 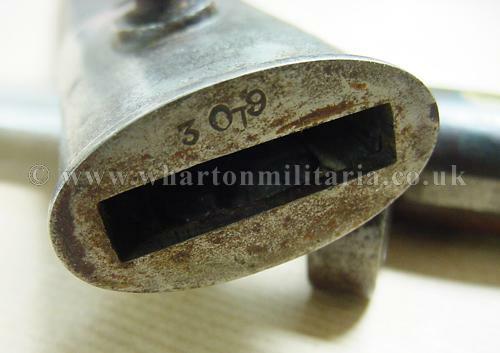 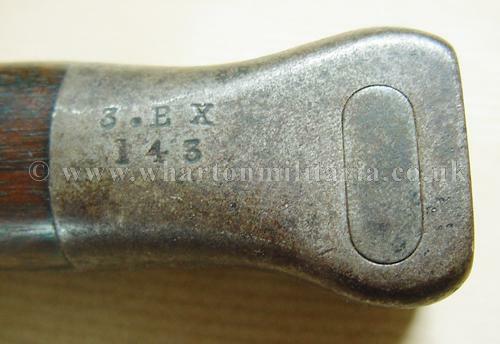 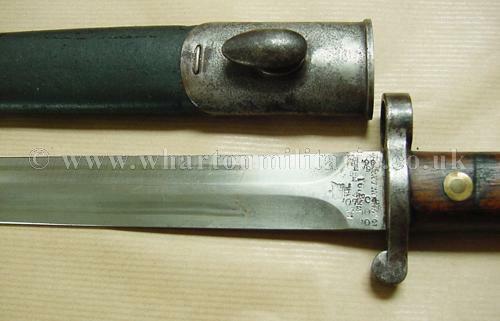 The furniture including the ray skin grip and tsuba is of the usual WW2 service pattern. 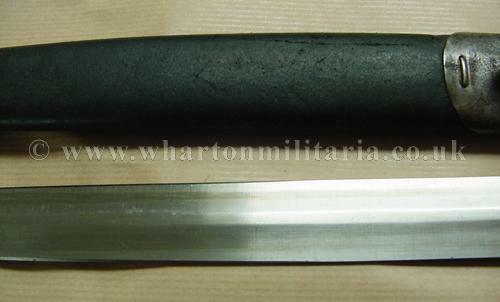 The grip leather is in good condition, no damage or cuts/frays, is fully laced to the top providing a snug fit into the hand, blade length to the tsuba is 27 inches. 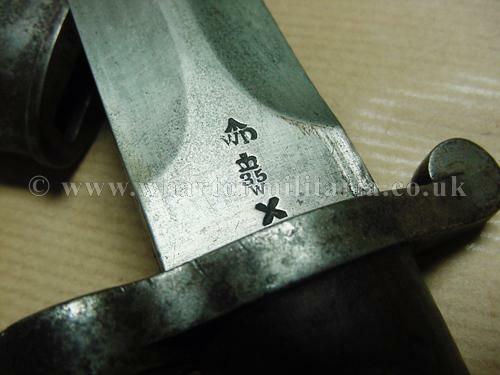 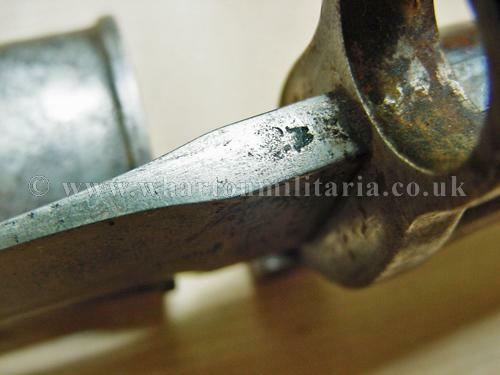 There are 3 leather 'spacers' on the blade side of the tsuba, these I doubt are war time but have been added within the swords 'peace time' life to maintain a tightness of the assembly, easily replaced with an additional wartime washer for correctness. 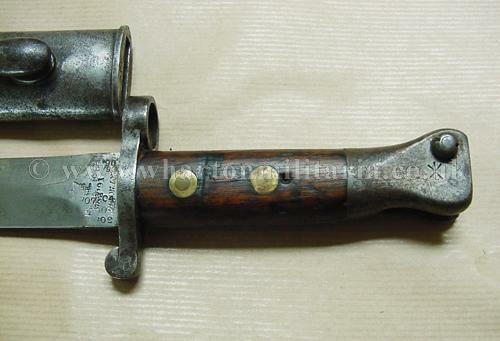 The scabbard is leather covered in the jungle field style and has seen some considerable service having been re-booted at least twice - it is nice to see such field care as it shows the sword was most likely carried throughout the war to be either captured or surrendered in the last days - the top suspension mount is also another nice practical field repair with a copper ring and plate, very nice armourers work, it is clear that this sword has been much respected by its former wearer, as was the Japanese way. 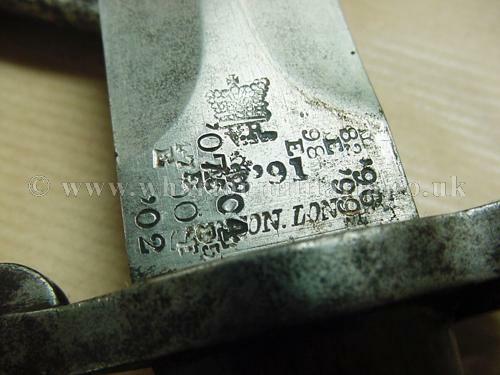 The scabbard leather has shrunk over time from the mouth of the scabbard to reveal the scabbard wood though this does not detract at all. 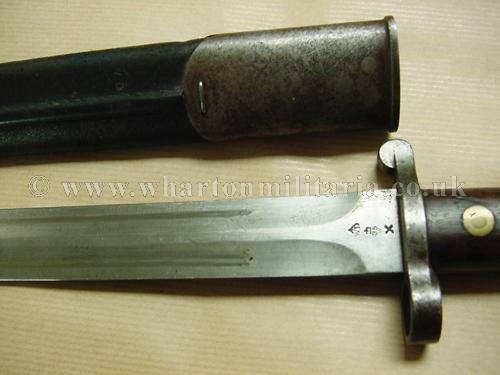 This sword is a good example of a battlefield carried katana. 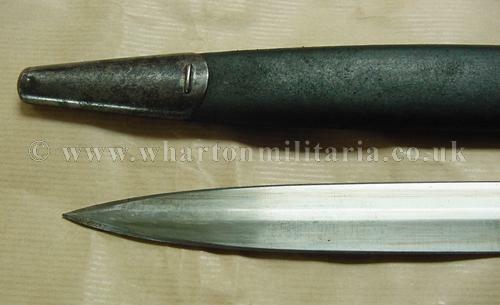 Overall length in scabbard is approx 40 inches.